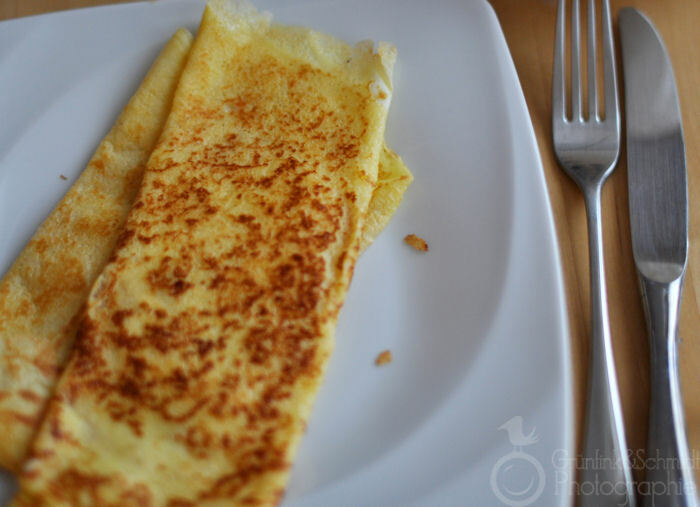 I wish I didn’t love crêpes as much as I do, and I wish I had never tried crêpes filled with cheese, because I’ve been eating them a lot ever since I ordered one at the 2012 Photokina. Being maybe four or five and spending an afternoon with my mom’s friend Marissa and her children, Michelle an Alan. We ran into my dad at Konstablerwache (a very busy metro station in Frankfurt) and either he or Marissa bought me a crêpe with sugar. Delicious! Crêpes filled with vegetables and baked a cream sauce at (what I remember as) a French restaurant in Managua, Nicaragua that my friends and I used to frequent every once in a while shortly before we all moved away, went to college and got jobs. Some of us are even married – and have kids – and enjoy eating crepes with our families now. I have yet to meet a match for these crêpes though! Eating a crêpe filled with chestnut cream in front of Les Deux Maggots (you know, the place where Sartre and Simone de Beauvoir would go all the time) in Paris together with my friend Kathi in August 2011. It was during the last hour of our trip and we were very sad to be leaving, having completely fallen in love with Paris during the past four days. Whilst we ordered our crêpes for lunch and ate, a Jazz band played and we swooned. Maybe the music sounded much better, because the crêpe was so tasty or maybe the crêpe tasted so much better, because the music was amazing – anyway, it was a very happy moment in my life, with a crêpe in hand no less! Above mentioned cheese-filled crêpe at Photokina, which we ate as we watched their traditional bird show. (Yeah, it’s a great photo-op, but I feel terrible for the birds, so I’m not a fan at all and think they should do a spectacular flight show with humans instead) I only ordered it because it was the only vegetarian warm dish I could find (the catering at Cologne Fair is pretty horrible – and ridiculously expensive) and I couldn’t fathom eating a crêpe filled with just a boring slice of cheese. The man in front of me chatted up the woman making the crepes behind the counter, who said she was a student. She then confessed that she was sick of crêpes, especially after the end of her shift, and that she found making the same movements over and over again incredibly tiring. While I understand her plight, I did love the crêpe and have been eating crêpes filled with cheese ever since. 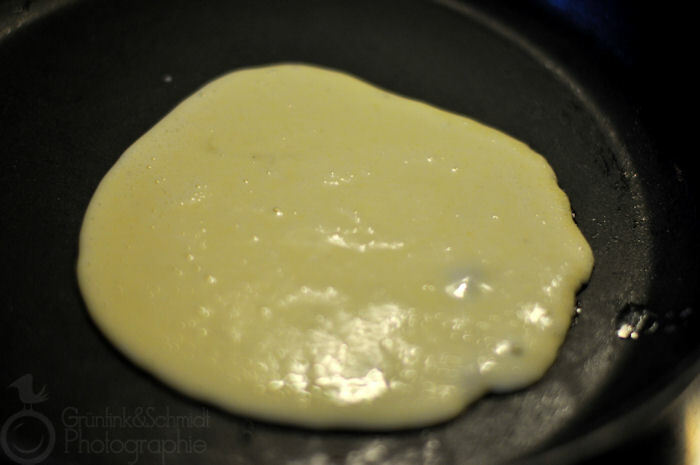 I do agree that making crêpes can be kind of a pain, because you have to wait for each thin layer of batter to cook, then turn your crêpe over and wait for the second side to be done. Repeat with the next batch of batter until you have used it all up. But I would never ever opt for buying ready-made-crepes at the supermarket. There’s just all sorts of things wrong with that idea, starting from non-organic eggs to all the additives. I’ll make my own crêpes any day. This is my recipe for gluten-free crêpes. I suggest that you try different flours, and if you can’t get the exact flours that I recommend, I suggest adding a bit of rice flour and corn starch – for extra fluffiness. 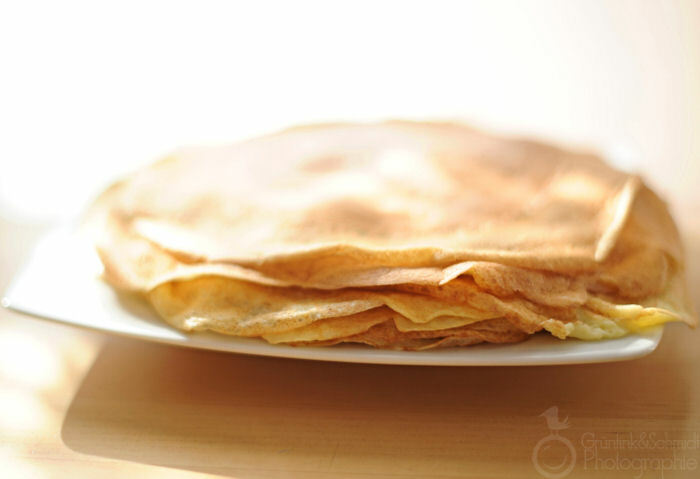 I have found that making these entirely out of Harina de Reposteria from AdPan makes too dry of a crepe, and I think that making it only from Schaer Farine leaves you with crêpes that have a texture similar to that of a leather sole. I do think that when combining these two flours, you get just the right amount of fluffiness and firmness in texture. My husband says that they taste just like those I used to make back in the day when I still ate gluten. 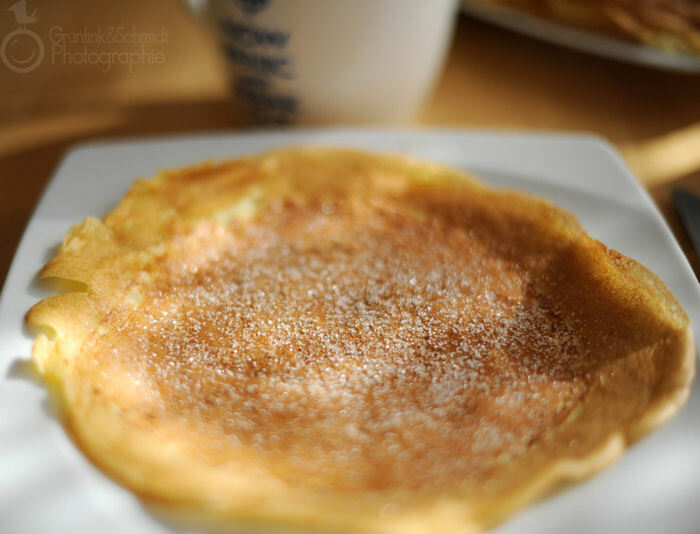 I find that it’s best to make a test-crêpe first and then amend the batter if needed. I almost always need to add either more milk – up to one cup! – or more flour or even an additional egg. 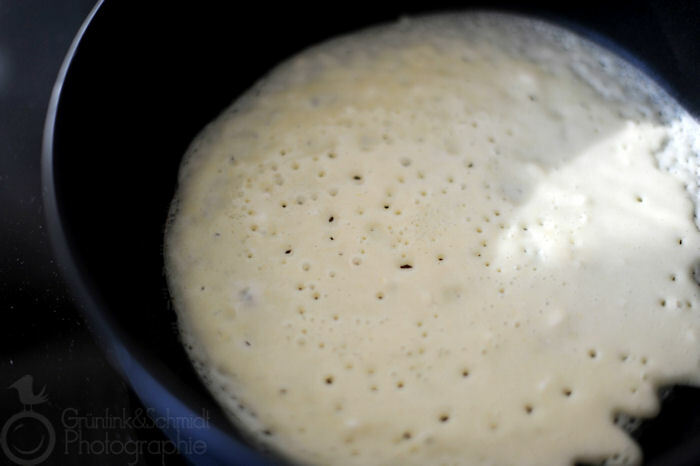 Crêpe batter is a bit of a diva, so results depend on egg-size, general humidity, etc. Stay tune for a recipe for galettes, crêpes made out of buckwheat flour. I’m still experimenting! Place the flour in a bowl. 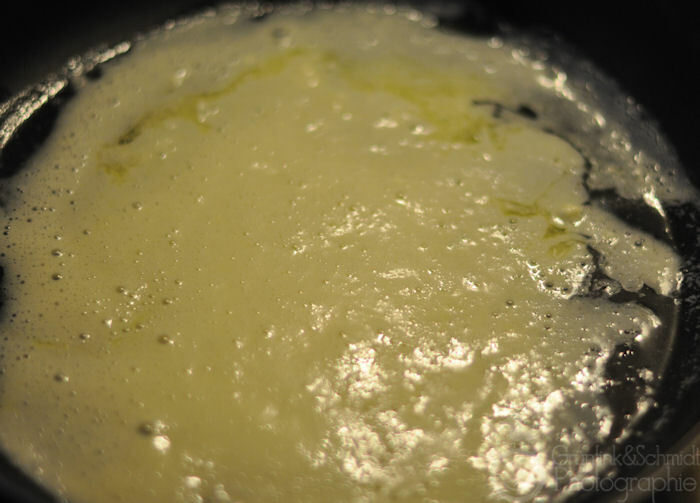 Pour the milk into the bowl and whisk until you have a lump-free batter. Add the eggs, one by own, and the pinch of salt. Whisk until your batter is even and lump-free. Place a large pan on your stove and heat it well. Now, about the heat: it’s a bit difficult to say, but I prefer frying them on a higher temperature. Obviously not so hot that they will burn, but not too cold, because then they will take forever to be done! 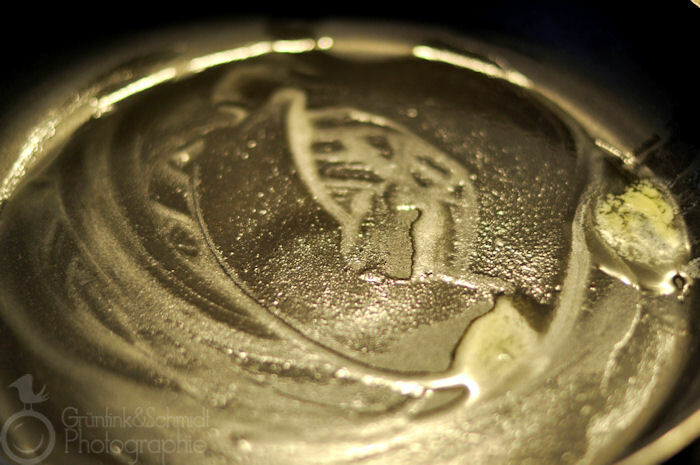 Distribute some oil (or butter, if you like) on it, e.g. with a silicone brush. Pour a portion of batter (about half a large ladle) into the pan. Distribute the batter evenly either by using a spatula or tilting the pan. Let crepe fry, for about a minute. 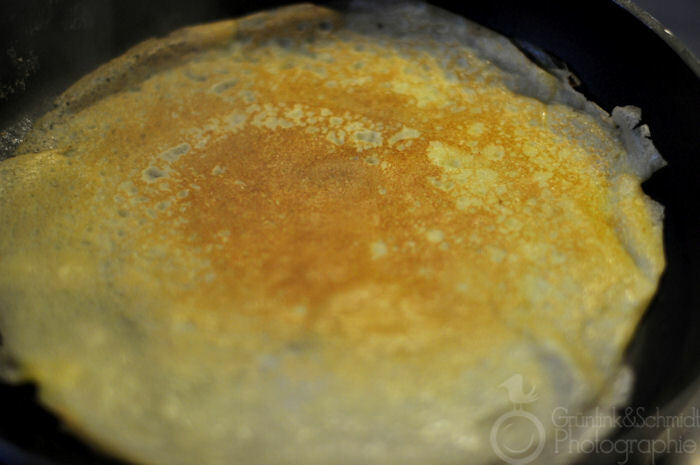 You should wait until many bubbles have appeared, this is an indication that your crepe is done on its first side. Turn crepe and fry for another thirty seconds. 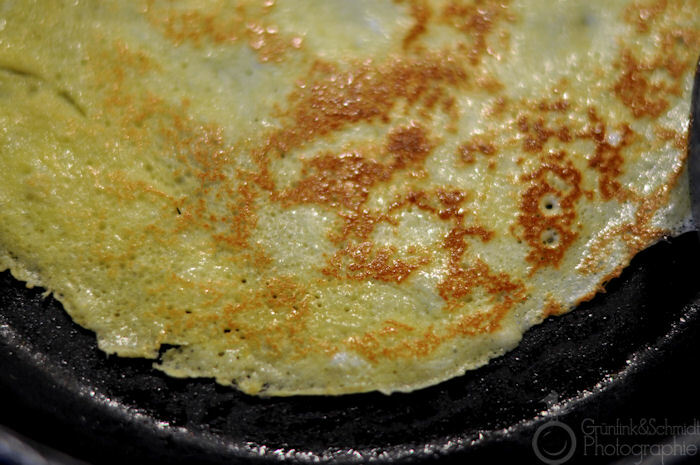 Remove crepe from pan and place onto a plate you have set aside for this purpose. Repeat the above mentioned process with the rest of the batter. Stack remaining crepes over the first. 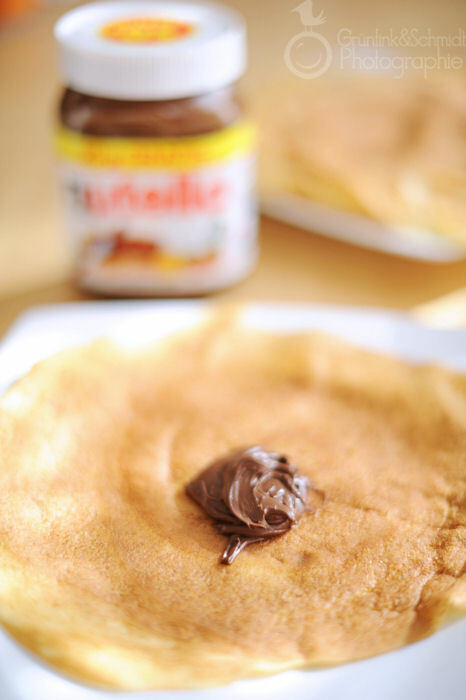 I suggest adding new vegetable oil to your pan about every three or four crepes as to avoid your crepe sticking to the pan. If you want to fill your crepe with cheese, I suggest doing so when the crepe’s second side is being fried. I suggest adding grated cheese, preferably more than one kind, turning over one crepe half over the other and serving your cheese-filled crepe right away. I usually fry up all crepes in one go, and then return the stack of crepes into the pan, allow them to warm for about a minute, then turn the stack over and leave it there for another minute, prior to transferring them back to their plate and serving them immediately. Now, as for the filling, you can really get creative. I love eating it with cream cheese and strawberries, with sugar and cinnamon and – of course! – good old Nutella. I use any left-over crepes for Flädle Soup (you can cook them with vegetable or just drop them into your broth and call it a day!) – or use them as a basis for manicotti or even lasagna. You can fill them with all sorts of fun things, roll them up and cut them into tiny pieces and serve them as an appetizer at your next dinner party or picnic. The options are endless – happy cooking! Pingback: Gluten-free Manicotti | Vegetarian - and gluten free! Pingback: Gluten-Free Galettes | Vegetarian - and gluten-free!